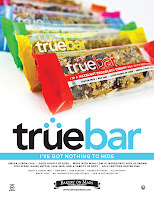 Bakery on Main recently introduced a new product called TrueBar. I was very excited to try out the bars because I absolutely love the company's gluten free granola. I've also tried out their granola bars but they didn't quite work for me. 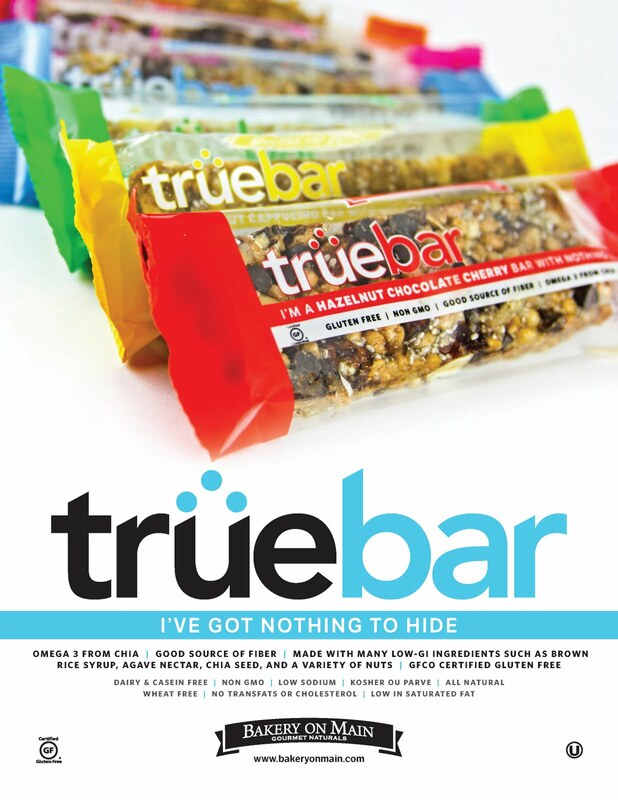 Anyway, TrueBar is being advertised as a bar that has "nothing to hide." The ingredients are non-GMO and are simple -- you can actually understand the Ingredients label on the back of the bar. Shocker, I know. Additionally, all of these bars are gluten free, casein free, and dairy free. They are also lower calorie than some of the competing granola bars. Bakery on Main reached out to me to check out these new bars and was gracious enough to provide me with one of each new flavor: Hazelnut Chocolate Cherry, Walnut Cappucino, Fruit & Nut, Raspberry Chocolate Almond, Coconut Cashew, and Apricot Almond Chai. I loved Bakery on Main's TrueBars, and would recommend that anybody who likes Kind Bars check them out. My favorite flavor was the Coconut Cashew, but I also really enjoyed the Raspberry Chocolate Almond -- I'm a sucker for anything chocolate. I definitely liked them enough to have them again and am looking forward to seeing them on store shelves soon. They give the prevalent Kind bars a run for their money! I can't wait to try this. Thanks!